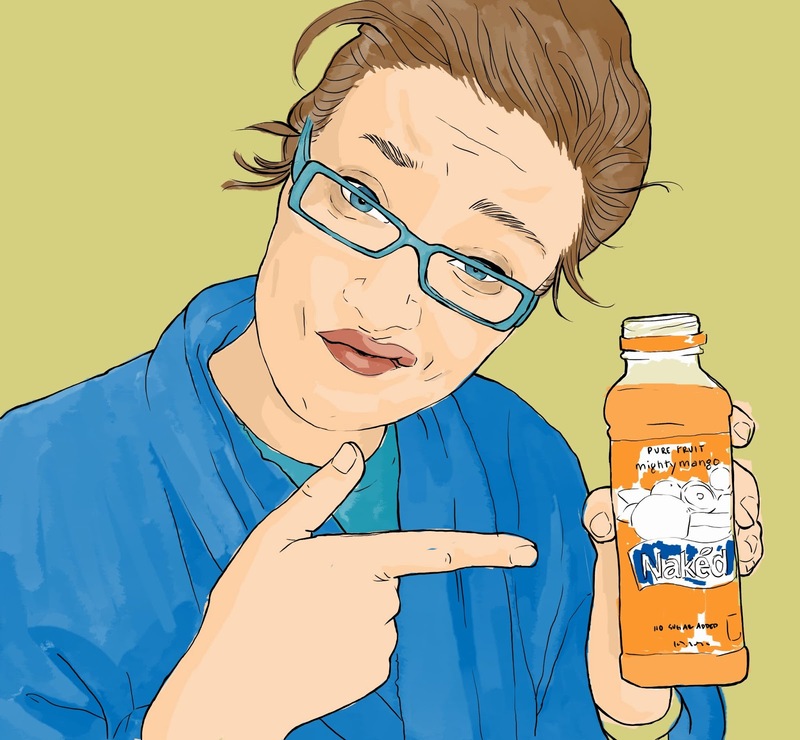 If you've been reading The Spinsterhood Diaries for very long, then you know how much I like juice. Most of the time I like a good White Grape Juice. When I get fancy, I like a nice sparkling juice. However, today we're talking about something that I think may lean into the milkshake category and is somehow still a juice. That is to say, I want to talk about Naked Juice. Just by its name, Naked Juice makes me think it's healthy. I guess that's why I didn't really try it until recently. I thought maybe it was going to be sort of gross-tasting or that all the pulp would sink to the bottom. However, I got a Mighty Mango, and to say I was pleasantly surprised would be an understatement. This stuff is excellent. Technically, the Mighty Mango is categorized as a smoothie, and I don't disagree. It's thick and delicious, thus my milkshake reference. At 150 calories, the count is a little steep, but this juice/smoothie is a slow drinker. I don't think you could gulp it down. Plus, you feel better knowing you're having a little fruit, too. And, if fruit isn't your thing, and you're feeling the need for some veggies, they have that, too! Full disclosure, though, I've been so in love with the fruit juice, I haven't ventured into the vegetable territory yet. Anyway, I am so obsessed with the deliciosity of this drink right now I had to share. I know, I know. It's not new to the market or anything, but it is somehow new to me, and I am not mad at it. In fact, we're on quite good terms. So, if you're in the mood for some juice, click here, and you can get a $1 off coupon, too!